For best travel experience it’s always a good idea to have practical information handy while travelling in India. 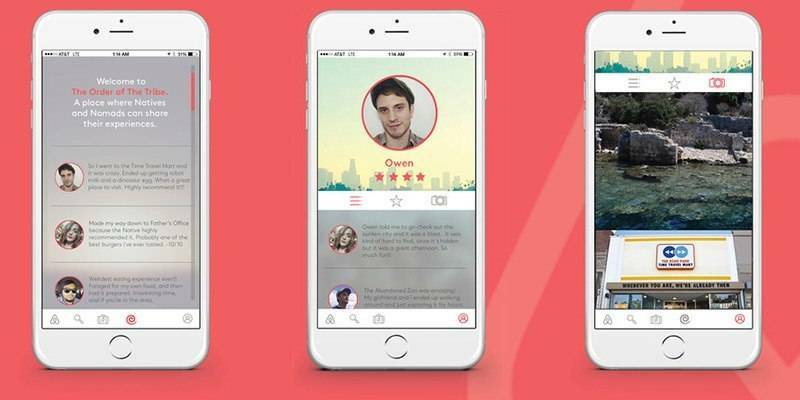 While travelling, apps are your new best friend. Your phone can take away lot of your travel headaches. Best part is that it allows you to do last minute planning and can help you explore places like locals. 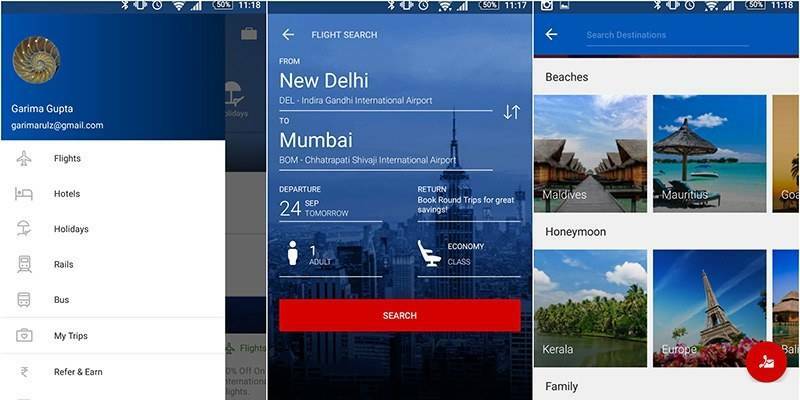 So, before packing your bags and heading out to see India, check out Trodly’s suggested list of Travel apps for India that you should have on your smartphone. Wandering in unknown area without a way to track where you are is not advisable anymore. Having an offline navigation app is your best option if you don’t want to take risk of losing network reception. HERE Maps is the best option if you don’t want to depend on the mobile network and save on data costs as well. Otherwise good old trusted Google Maps is there for you. Live traffic updates, public transit, street views and a voice-guided GPS navigation are some of the valuable features you get with it. Need to go from one place to another in a new city? Depending on autos (tuk-tuks) is a bad option and Metros trains are available only in few cities in India. 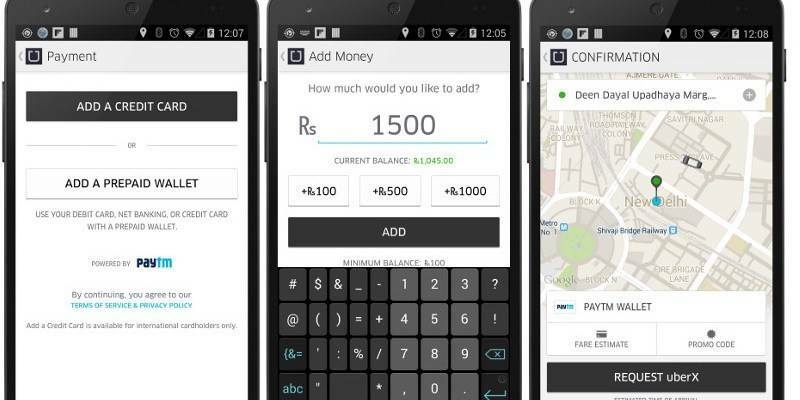 So don’t get taken for a ride, instead use a ride-hailing app like Uber or Ola Cabs. Both these services are now available in most Tier-1 and Tier-2 cities in India. And finally how can one forget remaining in touch with loved ones while traveling. At the minimum you would need to convey your safe arrival and whereabouts. Not to forget, you might need to make calls to do local bookings etc. 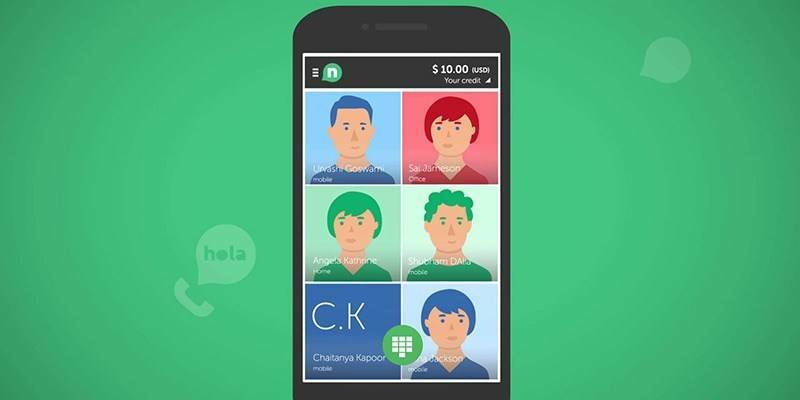 Best way to save cost on calls is using an app like Whatspp or Nymgo, all you need is Wi-Fi or 3G connection. Though English is understood in most urban parts in India, in rural and smaller cities communicating with locals could be a challenge. Most states have their own primary language and even signs on roads, buses and trains could be in local language. 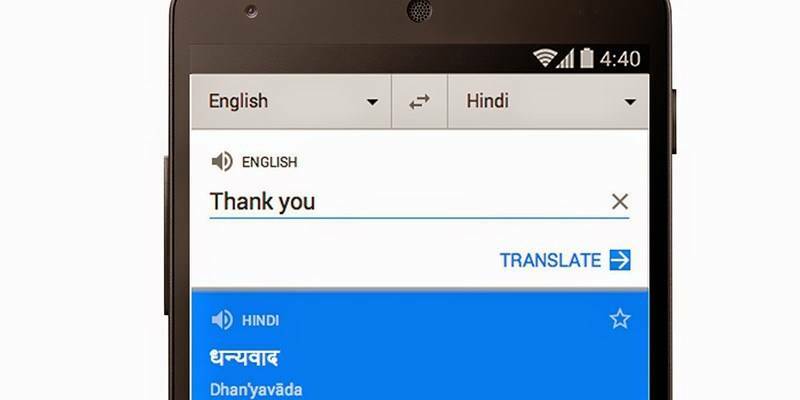 Google Translate can come to your rescue here. Although translations can come times be too literal and not always grammatically correct, but being able to communicate in broken Malayalam is definitely better than you boarding a wrong bus or ending up in wrong direction on the highway. The Trodly app is the best way to plan your trip and explore your holiday destination on your own. 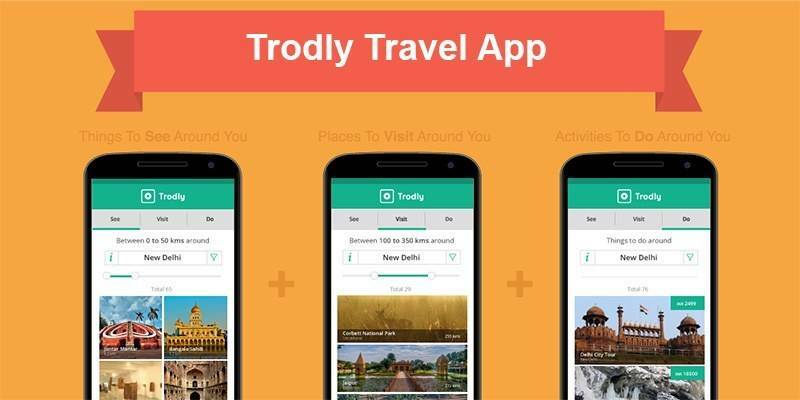 Trodly app gives you travel guides about cities, landmarks and other important tourist attractions. You can also discover local tours and activities and book them in advance just like you book flights and hotels. 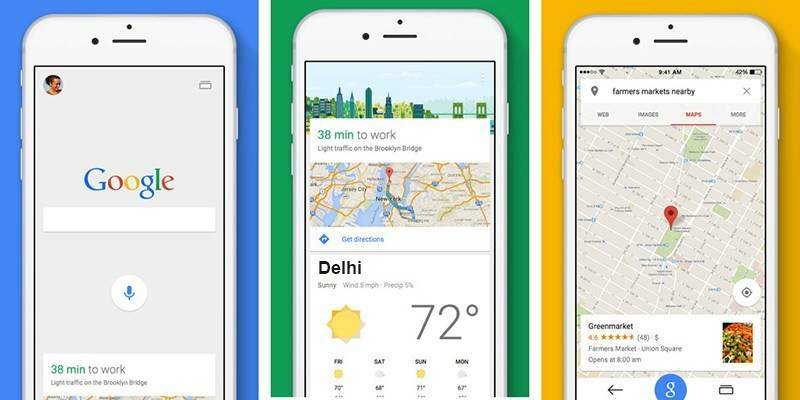 One of the best travel apps, it also provides you with information about weather, airports, railway stations, nightlife and shopping options in your city or holiday destination. Trains are undoubtedly best way to travel between major cities in India that are not connected by direct flights. In fact for a real feel of India, one must experience a train journey here. 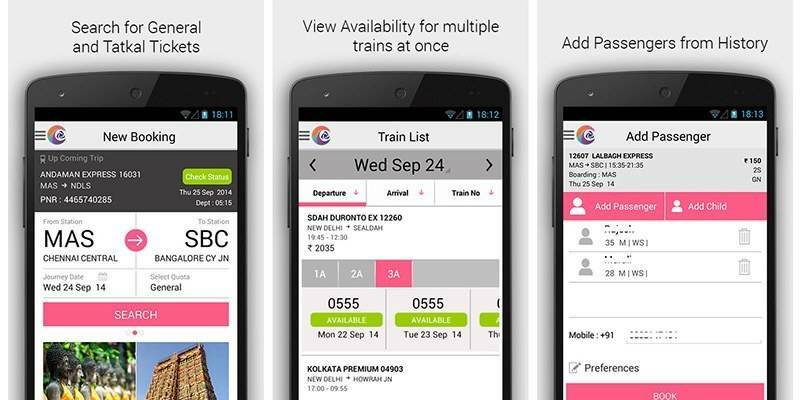 The Indian Rail department has now an app that lets you find trains, check schedules and book tickets. Local cuisine is one thing that you should not miss out on, no matter what part of India you are in. 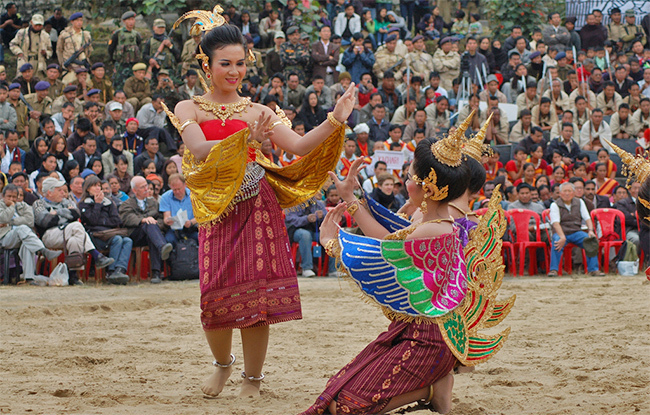 Each region has its own unique dishes and flavors. 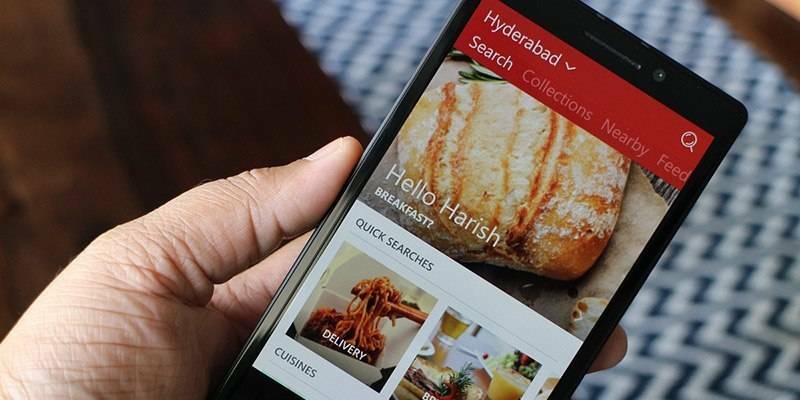 Don’t bother looking in Yelp to discover best places for food, install Zomato and start discovering restaurants based on your location, budget and choice of cuisines. You can use reviews and ratings to zero-in on your selection. Though India offers one of the finest luxury hotels in the world, our pocket may not always allow a five star stay. 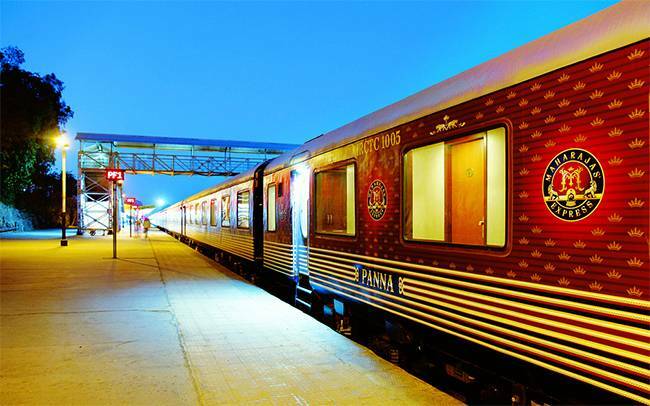 But travelling on budget doesn’t mean staying in dingy and shady hotels – the like you see in Paharganj, Delhi. OYO Rooms is a branded hotel chain while AirBnB is a good option for homestays and boutique stays. Both options give you the most for your buck. Apart from ease of booking on-the-go, one good reason to keep an app for booking flights is that it enables you to do easy cancellations, modify and also get updates on your bookings. MakeMyTrip is the largest Online travel portal in India and its interface on website and app is one of the best. Hotels and Buses can also be books on MakeMyTrip. For some intercity routes, buses are the most suitable option, especially in remote areas where train connectivity is not too good and hiring a private cab can be too expensive at times. 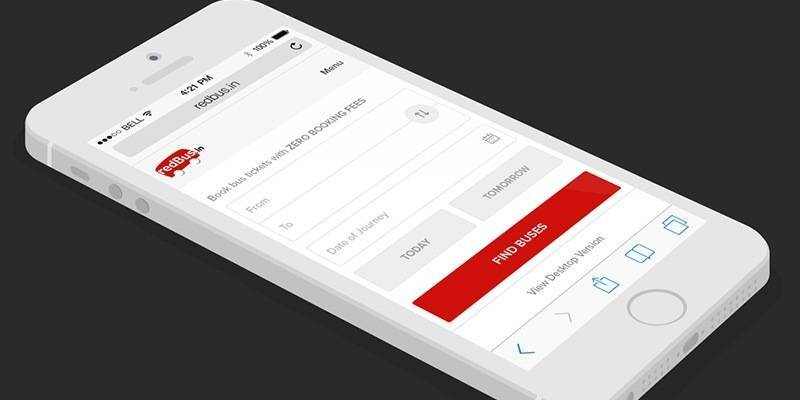 Redbus is the India’s most popular bus booking platform and operates across most big cities and popular tourists destinations. With app you can avoid the hassle of taking ticket print-outs as well. Share your favorite Travel Apps with us! This list is result of personal experience of Trodly’s team and many chats that we have had with fellow travelers. If you travel often with-in India, tell us what other apps did you find useful in India? Let us know in the comments!